Does your piano teacher come to your house? If so you are super lucky. Traveling teachers are very hard to find these days. As a piano parent myself, I have had a few teachers come to my home to teach my sons over the years and I can tell you it was a real convenience. I have also been a traveling teacher myself. Here are some things I think your traveling teacher would like you to know. Traveling from house to house takes time. Time equals money. You can expect to pay much more per hour for a teacher to come to your home to cover such things as the time it takes to drive from place to place, gas and wear and tear on his car. Traveling teachers have less flexibility in their schedules. To make teaching profitable traveling teachers must do their best to arrange a schedule that puts students as near each other as possible. It simply does not make sense to be crisscrossing across town. Parents must be as flexible as possible when scheduling lesson times. It also means that your teacher needs to leave your home promptly after the lesson in order to make it to her next class on time. Keep in mind that if you live in a gated neighborhood time spent at the gate is time taken away from your child’s piano lesson. Make sure your teacher has access to your community. Traveling teachers simply can not accommodate last minute cancellations. If you have to cancel at the last minute for whatever reason (even sickness) your teacher is stuck waiting in her car for the next appointment. There is nothing she can do to use this time effectively. Therefore, her time must be compensated. I consider this part of the trade-off for the convenience of having a teacher come to your home. Traveling teachers of under-age children need to have a parent or other adult at home during the time of the lesson. It is important for you or another responsible adult to be in the house at the time of the lesson. In this day and age, it just makes sense. There may be some exceptions to this but in general, it’s a good idea to have an adult at home during the lesson. Your child needs to have a decent instrument. You must have an acoustic piano that is tuned and in good working order. Some teachers also find a digital piano with weighted keys acceptable. Table-top keyboards are not acceptable for learning to play the piano. The teaching area must be as free of distractions as possible. Television, video games, music, talking and other noise must be kept to a minimum during the lesson. Also, please keep toddlers and children under control. This will ensure that your child will get the most out of the lesson. Your teacher is in your home but she is still the teacher. In order for any teacher to be effective, she must be in control of the lesson. This can be a bit tricky when the teacher is on the student’s “turf”. Be sure you have a teacher you like and trust, then make it clear to your child that she should respect and listen to his teacher. Piano teachers need a chair in which to sit during the lesson. Because of the height of the keyboard, we simply cannot stand up and teach. We also can’t share the bench with the student as students need to be centered at the keyboard in order to play properly. There is no need to offer your teacher food or drinks. The exception would be a glass of water. Offering food is a nice idea but most teachers will decline. I had one sweet lady who would bake cookies every week. Which was nice but not too great for the waistline. Piano teachers are human, we need to use the restroom from time to time. If you have an aversion to people using your bathroom, I suggest you go to the teacher instead of having someone come to your home. I have heard stories of teachers being told they can’t use the restroom. This is ridiculous. 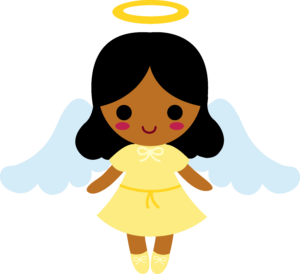 Be an angel, show your teacher where the restroom is located and then tell him he can use it when necessary without asking. This is what I did with the teachers who came to my home to teach my children, I know they appreciated it. 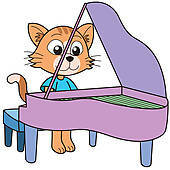 The bottom line is, treat your traveling piano teacher as you would any guest in your home. I am sure that you will have a long-lasting and wonderful relationship.